The second in a series of Murray River Guides covers the Murray River from Barmah township to Torrumbarry Weir, which includes Echuca. At 1:25,000 scale, the booklet is designed to provide a low cost guide to access and recreation facilities, including camping, along the Murray River. The guide has been produced with the support of Echuca-Moama Tourism, Park Victoria and local businesses. This edition is a two colour 26 page booklet. Size: A4 - 297mm wide by 210mm high. With the second edition each map now shows a GDA grid which is compatible with GPS. Email us to arrange a Gift voucher for hard to buy for friends or family. Just specify any amount you would like the Voucher for. 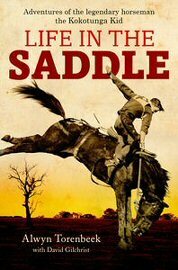 Life in the Saddle - Click here. © 2018 Westprint Heritage Maps. All Rights Reserved.